Are you ready to get away from it all? Unplug and get ready to reconnect with nature. Get away from the glowing screens and constant dinging and explore the beauty of Florida. We're going to share with you 5 free parks to explore while you are RV camping in Palmetto! where it meets Lower Tampa Bay. You'll enjoy the preserve's beautiful wildlife and native plants while you explore both historic and prehistoric sites. Tale a hike to the Portavant Temple Mound, southwest Florida's largest Native American Temple mound! There are also trails and boardwalks, picnic shelters, and a canoe/kayak launch. 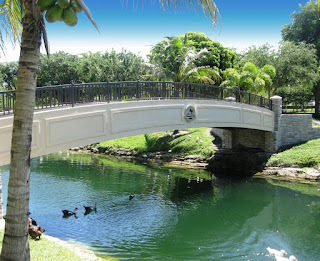 Spend the day enjoying the rich history of Florida. 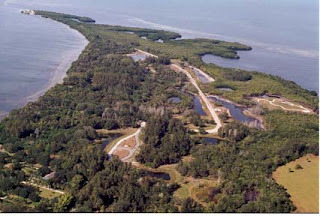 This 27-acre nature preserve is the perfect place for bird watchers. Grab your binculars and pick up one of the preserve's bird checklists. 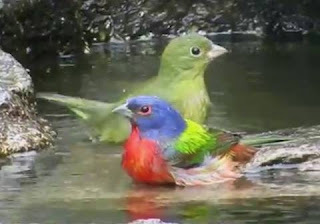 They have documented 158 avian species and 33 butterfly species at the preserve! Maybe you'll find the 159 specie! Guests can enjoy open houses and guided bird walks on the first Saturday of each month from October to April. It's free and includes activities like hiking, bird watching and photography. See if you can spot the beautiful Painted Bunting, the preserve's signature bird! pinelands preserves to canals and sports, you'll always find something to do at this great park. Love sports? This park features beach volley ball, tennis, baseball, a playground and an exercise trail. While you're there, don't miss the abundance of Florida wildlife. If you get hungry, grab a refreshment under the shady pavilion of the Parkside Cafe. The park also hosts free outdoor movies for residents throughout the year. This historical park is a great opportunity to learn about the history of Palmetto. You can enjoy fun activities like checking mail in the 1880 Post Office, write on the slates of the schoolhouse and try on pioneer clothing in the cottage. 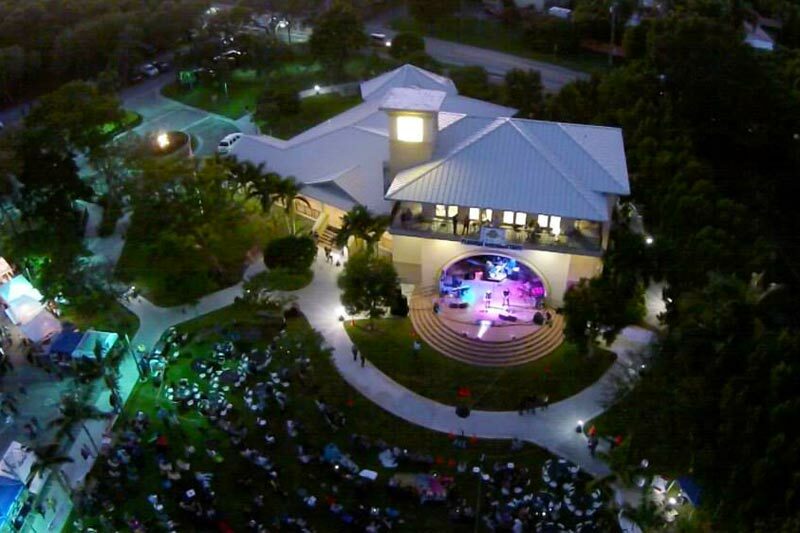 Plus, there are lots of free events to attend as well There's Halloween and summer socials, the annual Heritage Festival, historical speakers, Palmetto's Christmas in the Park and group yard sales. Get to know neighbors, learn the history of the city and have a blast all in one place. are plenty of walkways, gazebos and even a manicured garden. You'll be able to find a great book in the 5,000-square-foot Palmetto Bay Branch Library. The community room offers tons of meeting space overlooking the waters of Biscayne Bay. Grab a book and enjoy the great outdoors. Could You Handle Full-Time RV Camping? Many seniors are looking for a low-maintenance place to call home. They want a place that will be safe when they're traveling. A place that will be easy to keep clean. A place where they won't have to mow the yard or trim trees. That's why many seniors are choosing to become full-time RVers. This is a lifestyle of fun, adventure and autonomy. As they travel the country, anywhere they land becomes home. So, what makes this lifestyle so appealing? The first is freedom and flexibility. Many seniors have children scattered across the country. They could be visiting a son in Texas one day and a daughter in California a few days later. Parking the RV in a driveway is free, and it affords both parents and children their own space. Secondly, RV travels can find unique and creative ways to earn money. Some RVers choose to do something called work camping. It's a short-term position where campers do work in the park in exchange for lot rent. In Florida, there are plenty of part-time jobs at theme parks, tourist attractions and state fairs. Finally, RV camping is all about convenience. Seniors are able to travel light without numerous belongings, which makes it great for downsizing. Going from a full-size house to an RV can certainly be tough, but using some of our RV space saving tips, it's certainly doable. If you're a full-time RVer tell us about it! You want to camp somewhere with WiFi, right? Well Newby Fun Resorts offer FREE WiFi, and we're going to tell you why you basically need it. Okay, that might be a bit of an exaggeration, but you'll be able to check out reviews on local restaurants and even local attractions. It's an important part of any outing and you may avoid some really bad spots. On the flip side, you just might find your new favorite place that you never thought you'd like! We recommend checking out reviews before you visit somewhere, and what better way to do it than with free RV resort WiFi? Don't be that guy who hasn't heard the latest news. Stay on top of the times, whether you use Twitter, an RSS feed or your favorite daily online paper. You'll be able to chat with your neighbors on the most important happenings of the day with your awesome free RV resort WiFi. When you're staying at a great RV resort, there's likely to be lots of fun activities near by. For example, at Clearwater Travel Resort the Clearwater Aquarium is just a short drive away where you can meet Winter the dolphin. Take that extra money you save not having to pay for WiFi and use it to take an mini adventure you won't forget. Having free RV Resort WiFi gives you the opportunity to make some memories that will last a lifetime. At our Newby Fun Resorts we love Facebook. Our guests, residents and future guests gather together there for lots of good times. You can check out events, chat with friends and stay connected even once you're gone. You will be the first to know about what's happening at the RV resort! 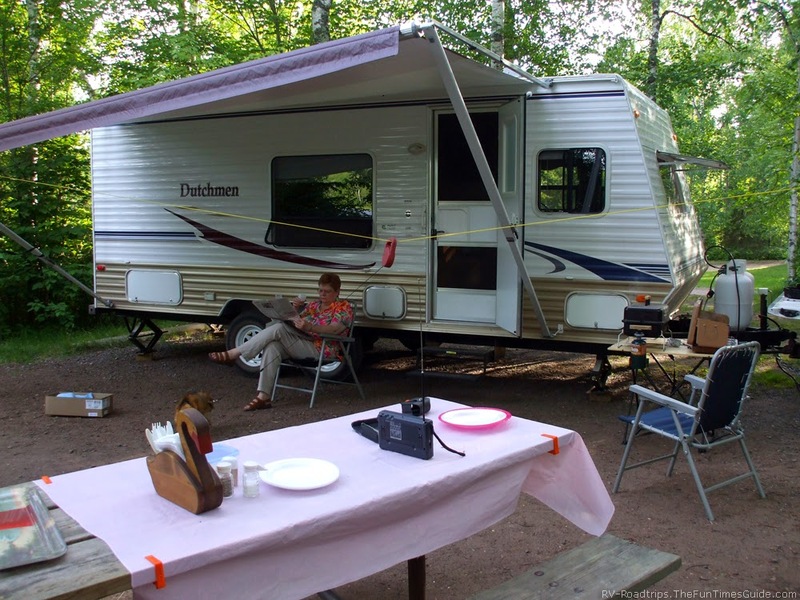 We would love for you to join our online community and we make it easy with free RV resort WiFi. Maybe cat videos aren't your thing, but the point is you can watch them. Or you can watch your favorite shows, or browse your favorite websites. You can do anything you want because you'll have unlimited access to the internet! Free RV Resort WiFi gives you limitless opportunities when you're not enjoying everything your resort has to offer!